What are protein bars? 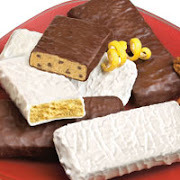 Protein bars, also known as “diet” bars, are just one of the best protein bars widely available nowadays. They are a replacement meal especially made for weightlifters as well as dieters who are exceptionally conscious with their figure, weight and shape.These bars contain high levels of protein and low carbohydrate content to help one build muscle and at the same time lose fat when training. 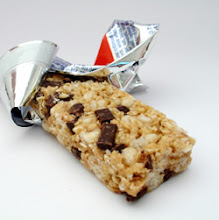 Some major companies famous for making energy and dietary supplements would define protein bars as “a healthy, low-calorie pre- or post-workout snack.” For some obvious reasons, different brands on the market vary with taste. Some are not at all tasty while others are very delectable to eat. Chocolate, however, is one of the most popular flavors. Are you now thinking about its delightful flavor plus the high protein and low carb diet it promotes? Can you resist eating it? I don’t think so! How can protein bar be beneficial? 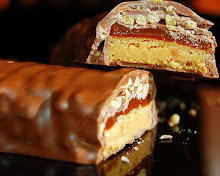 Protein bars are beneficial in such a way that they allow busy people, who are not able to complete their meals, to get protein nutrition in a day. They are very convenient and tasty for some, though not all people find them yummy. They facilitate total nutrition while giving key nutrients to the body. Key nutrients are needed to further improve health and physical performance. Protein bars also support many chemical processes in the body as they contain a blend of vitamins and minerals. Obese always is a concern, don't you agree with me? People claim that they need a low carb and a high protein diet for them to immediately burn fat without getting starved. Some people tend to recognize the best exercises to lose weight. But how far these mission can be achieve? What does high protein diet mean? Is it healthy? This kind of diet simply means receiving excess proteins of up to 15% in the body. This diet recommends about 30% of calories from proteins as opposed to the normal protein recommendation of only 10-15%. In reality, this diet is often high in total fat. However, nutritionists and especially bodybuilders, often suggest this high protein diet as it easily helps build muscle and lose fat. Usually, protein bars are made with artificial sweeteners like Maltitol and sucralose, as well as reduced-calorie fats like Salatrim. One brand would include 320 calories (chocolate chip flavor), 29 grams of carbohydrates, about 11 grams of sugar and 8 grams of fat. Yes it contains fat and sugars. Thus, it cannot be considered as a non-calorie supplement. Protein bars are, in fact, a high protein supplement as they contain about 34 grams of protein. Protein, in its purest form, is a very important nutrient, essential to health. It is very indispensable and helps in the formation and replacement of new tissues in the body. It helps transport oxygen and nutrients in cells and blood and thus normalizes acid and water balance in the body. It also aids in the production of essential antibodies.